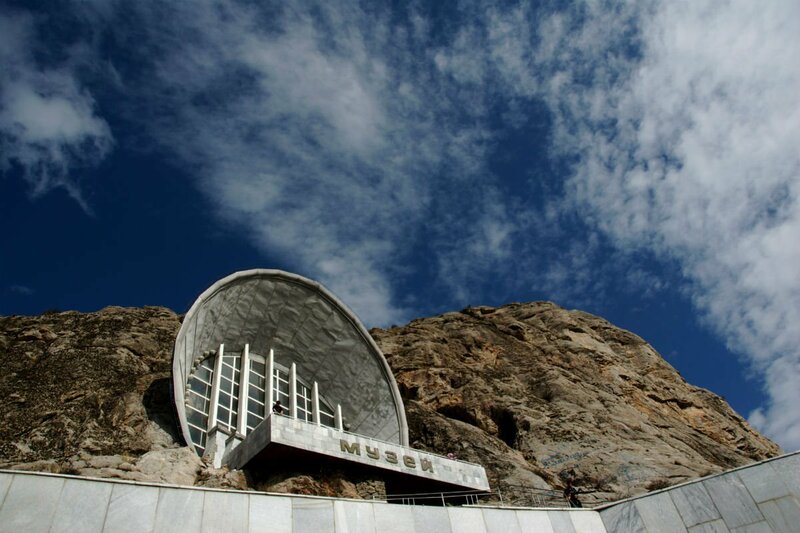 The museum at the top of the sacred Sulaiman-Too Mountain in Osh, Kyrgyzstan. Photo by . Explore the further reaches of Central Asia. With Bishkek, Kyrgyzstan, as your starting point, there are fun weekend getaways (and yurts! and babushkas!) in every direction. BISHKEK, Kyrgyzstan – One thing that makes Kyrgyzstan a unique destination for travelers is the country’s excellent community-based tourism (CBT) system. The Kyrgyzstan Community Based Tourism Association (KCBTA), an umbrella group that includes more than a dozen groups located throughout the country, was established with the aim of cultivating a sustainable ecotourism industry as a tool for improving living conditions in rural communities without damaging the local culture and natural resources. Central Asian hospitality is no joke, and those in the local communities will be more than happy to have you. By connecting international travelers with these communities, local Kyrgyz people can gain financial sustenance by offering unforgettable authentic Kyrgyz experiences to visitors, a true win-win situation. If you are too shy to use Tinder like I did, the KCTBA can assist in making arrangements for all the trips outlined in this story. If you are in Bishkek, you can visit the CBT office in person at 58 Gorky Street. 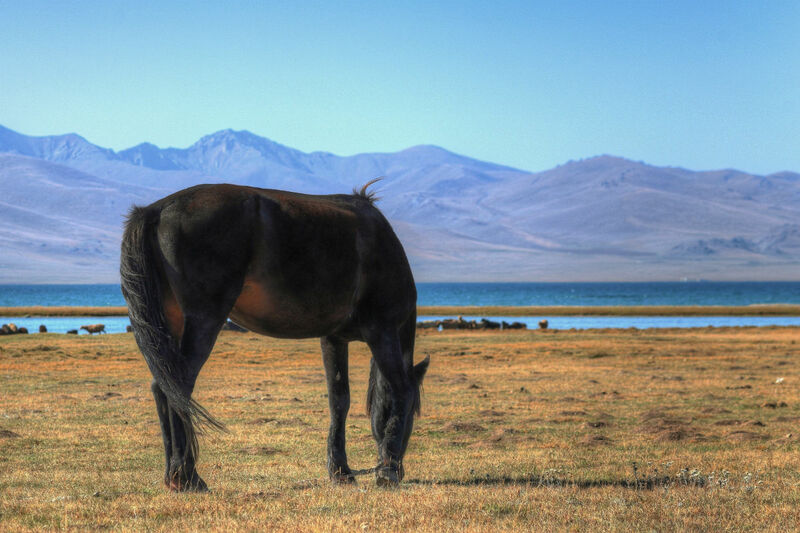 You too could be as serene as this horse on the shores of Song Kul. Photo by . Only accessible from June to September, the unspoiled beauty surrounding Kyrgyzstan’s largest freshwater lake is not to be missed if you can manage the trek up to its shores. Fulfill your childhood dream (or maybe that’s just me…) of spending the night in an honest-to-god yurt. Camping in a yurt on the wide-spanning summer pastures surrounding Song Kul is something to write home about. Don’t forget to sleep with your feet pointing towards the door! If you’re in the mood for: Horse trekking, camping, and a taste of the nomadic lifestyle on the shores of Kyrgyzstan freshwater lake. Route to take: Travel via mashrutkas (mini bus) or shared taxi to the village of Kochkor. From there, Song Kul is accessible via horseback or a 4x4 vehicle on sparsely paved roads. Brush up on some baseline Russian to help when making arrangements. Your agenda: Soak up the unadulterated natural beauty of this region. A truly unplugged situation, horseback riding and hiking are the main activities offered. Bring a good book to read as you relax lakeside or take the opportunity to contemplate the quantum theory, cures for major diseases, or the complexities of international relations in the modern age while gazing out onto the Kyrgyz expanse. Whatever you’re into, when nighttime rolls around, spend it in a traditional yurt. There are no facilities in this area, but the CBT office in Kochkor can arrange supplies and yurt rental from the local herders for very little. Avoid the Sunday Blues: On your way back to Bishkek, pick up a handmade felt carpet produced by the Altyn Kol, a women’s handicraft collective located in Kochkor. The serene waters of lake Issyk-Kul. Photo by Tess Chapin. Join the masses flocking to this region in warm weather and lay out your blanket alongside a sea of sun-tanning babushkas and Speedo-clad Central Asian families. On Lake Issyk Kul, the north shore is more populated and contains the majority of the tourism infrastructure, whereas the south shore is rugged and less developed. The town of Cholpon-Alta, centrally located on the north shore, serves as the core of the main tourism area for lake Issyl Kul. Most resorts are within 50km of this town. Also popular, and home to a CBT office, is the small town of Tamchy. If you're in the mood for: Relaxing waterside, post-Soviet style, on the world's second largest alpine lake. Route to take: Catch a bus or taxi. From Bishkek, it is three hours to Tamchy, three-and-a-half hours to Chopon Alta, and five-and-a-half hours to Karakol, located on the eastern tip of the lake. Your agenda: Soak up all the leftover Russian-influenced kitsch. All types of accommodations can be accessible from any price point, from hostels to home stays to large all-inclusive resorts. In almost any lakeside town, visitors will see signs saying “комнаты,” meaning room for rent in a local home. If you are here for the truest of Kyrgyz experiences, pony up a few som and get some serious face-to-face time with the locals. If you are in the mood to luxuriate, book a room at the or , all-inclusive resorts on the shores of the lake 9km from Chopon Alta. With private beaches and on-site entertainment and dining, you are set for a weekend of pure relaxation. The budget-friendly option is to book a bed at the Apple Hostel on the main street in Chopon Alta and spend your days at the beaches located within walking distance. Public beaches are populated by stands selling food and supplies, including copious quantities of watermelons, which flood the region in the summer, as well as dried fish and non-descript bottles of homemade fermented horse milk. 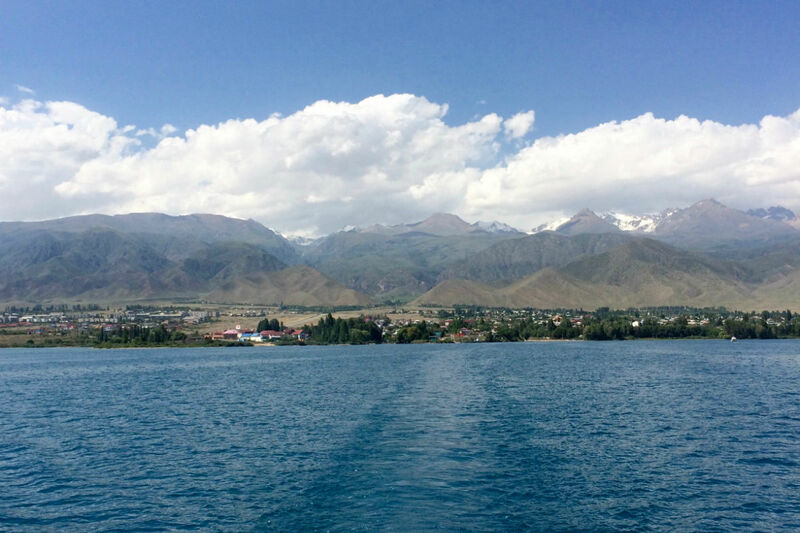 Avoid the Sunday Blues: Soak up every last bit of Kyrgyz sunshine by taking a relaxing boat ride out on the lake. This can be likely booked through your place of accommodation or through any of the local tourism offices around the lake. 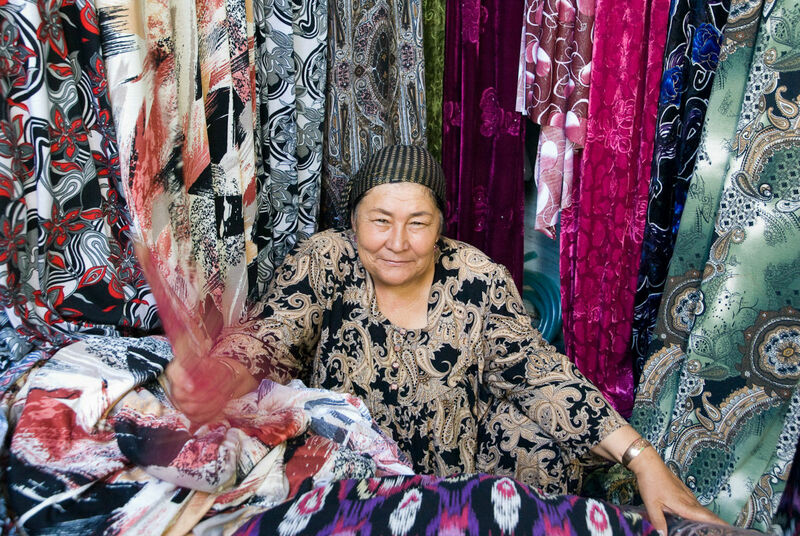 Get lost in the Osh Bazaar, where friendly shop keepers will be glad to assist you. Photo by / Flickr. A stone’s throw from Uzbekistan in the Fergana Valley, Osh is a dynamic and lively city rich in history, an experience sure to provide fodder for conversations that will make it obvious you are the most interesting person in the room. Go you! If you’re in the mood for: Experiencing a cultural hub of Central Asia, complete with the region’s largest bazaar for the marathon shopping trip of your dreams. Route to take: Skip the long drive and catch a 40-minute flight out of Manas International Airport. Your agenda: The second largest city in Kyrgyzstan, some consider Osh to be the cultural capital of the country. Book a room at the mid-priced and enjoy its delightfully tacky Kyrgyz-themed décor. Wander around the bazaar, extending for miles, and haggle for knockoff designer sunglasses brought over the nearby Chinese border. Respectfully visit the Osh Mosque, the largest in the region. Also worth a visit is the sacred Sulaiman-Too Mountain, where you can walk the trails zig-zagging up to the three museums and art gallery. Avoid the Sunday Blues: Make a final swipe at the bazaar for snacks. In the spring and summer, the markets brim with beautifully ripe and artfully arranged fruits. Snag kurt, an insanely common and popular snack food that is fermented cottage cheese rolled into small bites. Passed down from nomadic times, it keeps for months on end. Tess is an intern at Gentedimontagna and a Central Asia nerd. She travels for the discovery.